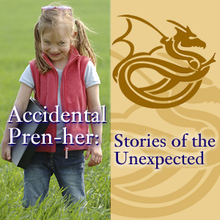 Today's special guests on The Accidental Pren-her Show, Stories of the Unexpected are Accidental Pren-hers Carol Satterlee & Lisa Morelli. This 12 minute interview talks about Carol & Lisa's transition from the traditional work force to forming a partnership and co-founding Family on the Edge, a coaching service that offers support and resources to empower people and strengthen their relationships to others in the face of adversity and major life transitions. You can listen to Lisa & Carol's interview from your computer by clicking on the play button, download the MP3 file and listening on your iPod or other MP3 listening device, or read it in full below. Welcome to another episode of the Accidental Pren-her: Stories of the Unexpected. My name is Susan Reid. I’m your host for today. We have as our special guests today Carol Satterlee and Lisa Morelli. They are the founders and co-owners of a brand new coaching service called “Family on the Edge”. It’s a cutting-edge coaching service that offers support and resources to empower people, strengthen their relationships in the face of adversity, and help them through major life transitions. Welcome, Carol and Lisa. It’s great to have you today! 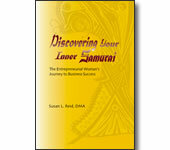 S: Let’s talk a little bit about your journey from traditional work to an entrepreneurial lifestyle. I know, Carol, that at one time you were employed as a medical transcriptionist, and before that, you did project work for a large computer company. And, Lisa, that you came to coaching and this wonderful venture that you guys are doing together after working 20+ years in human resources. And now the two of you are starting up Family on the Edge, a fabulous coaching service that I’m so happy to promote on this podcast. So, take us on a short journey from traditionally employed to self-employed. Lisa, when did this all begin? L: It began in 2006 when I was in the process of my divorce and really taking a look at many parts of my life, inclusive of what my work would be. And a friend of mine recommended Carol to me, who I then hired as my coach to help me through the process of defining what I was going to do with my life. Obviously, it worked – here we are, and the rest is history. S: I love how those connections happen. One thing leads to another, and now you’re together. S: Carol, how has it been for you? Had you ever been a small business owner before? C: Well, you mentioned earlier that prior to me becoming a coach, I worked part-time as a contract medical transcriptionist, and I started this when my kids were very young and raising them was my primary focus. I appreciated the balance and flexibility it allowed me. Although it wasn’t as intense as being a small business owner, it certainly helped in preparing me to become one. That is, I had to create a structure at my home, as well as develop the discipline and commitment that running a small business requires. S: So, Carol, you’d had the experience of being a subcontractor, though it wasn’t quite the same thing as being a small business owner. S: Lisa, what about you? Had you ever been a small business owner before? L: Well, like Carol, my role as a mother led me to finding a work schedule that would better suit my interest in being able to be more of a mom and more present in my son’s life. After 10 years in the corporate environment as an HR professional, I went out on my own contracting HR services with small and large companies. The nature of the work I did in compensation required so much networking that I was really able to do that with ease. It just happened. S: And both of you have the same common theme, that what was really important to you was your family and your children and being there for them. So you did things that worked around that, didn’t you, Lisa? S: So, Ladies, what made you decide to go into business for yourselves? Was it just that your kids grew up, or was there something more? C: Honestly, when I first decided to go into coaching, I wasn’t at all thinking about the huge challenges of going into business for myself, because all I knew for sure was I loved the coaching process and wanted to share that with others. And I thought it would be so great to work with people who want to move forward in their life, but just needed that support. Fortunately, after years of working solo as a coach, I met Lisa and I was presented this great opportunity to partner up with someone who was very like-minded. I felt she was a natural coach, even before she probably knew it. Creating and working together is effortless with her, and so here we are today as Family on the Edge. S: Lisa, do you have anything to add to that? L: As an HR consultant, I was already in business for myself in many ways, and I was really just switching gears to have my work better align with my interests and my passions. The rest is what I kind of believe as the Universe telling me I’m on target. Meeting Carol and establishing Family on the Edge just seemed more like fun than work. S: It sounds to me like you guys moved just beautifully into this partnership and that it was the right time in both of your lives. S: Lisa, tell us a little bit about what’s the goal of Family on the Edge? L: Well, the tagline for Family on the Edge is “Turning heartbreak into new beginnings”, and that really speaks to what our goal is as a business. Both Carol and I have personally experienced family crisis in our own lives, and we speak from very personal experience when we say that we believe that life’s diversity can be the catalyst for wonderful things to happen. And we feel very passionate about helping others find their way and their new beginning, as well. S: Carol, as you move them from heartbreak to new beginnings – I love that tagline – what kind of clients would benefit most from coming to be with you guys in Family on the Edge? C: We feel everyone can benefit from a family relationship coach at some point in their life. Relationships are so dynamic, and it’s a natural process in living that we all struggle in our lives. Some examples include divorce, blending families post-divorce, or parents who are struggling in trying to connect with their teens. So our ideal clients are family-oriented and they have a genuine desire and commitment to align who they are with their values, but they’re also maybe struggling with a particular situation where they want some objectivity to figure out how to handle their challenge. S: That makes sense, and you just so clearly identified your clients. So let’s go one step further. Lisa, there are so many coaching services out there for families…What makes your coaching service, Family on the Edge, so special and so unique? L: Really, what I think makes us unique at Family on the Edge is what Carol and I bring to the table. We both fit the profile of our perfect client; we are family-oriented; we do have a genuine desire and commitment to align with who we are and have our work be aligned behind that; and, in several ways, our personal experiences combined offer a broad spectrum of perspectives. For example, Carol is in a happy and healthy marriage, and that’s a perfect offset to the experiences I’ve had after going through a divorce. That’s just one of the ways I believe that Carol and I are great complements to each other and therefore have a wonderful place to offer our clients the same perspectives - or that breadth of perspectives. S: Indeed, because you cover both spectrums – happy marriage to divorce – and other things I’m sure you complement each other on in that way, too. L: In many ways, it kind of touches a little bit on the adversity part and the end of the road where there’s hope and great things. S: Since both of you have lived it, it makes sense. S: Well, we’re down to the last final questions that I ask everyone. Let’s do this in the sequence that I’ll ask the question and then, Carol, go ahead and speak first, followed by Lisa each time. Just be spontaneous and tell me what comes to mind. Question No. 1: What one word describes your life today? C: I’m going to start off and tell you I have two words. “Synergy” describes my work with Lisa for what we already explained, and the word “trust” describes where I am personally. L: For me, I would have to say “amazing”. It just seems that life is unfolding in the most perfect, natural way – it’s just so fun! S: It sounds like it! Question No. 2: What quality or characteristic is most important to you? C: For me, respect. It’s the quality I’ve carried with me for a long time. I practice daily, in order to “walk my talk”. I practice in a couple ways. The first is I’m very mindful about living my daily life with no regrets. Secondly, I work at being kind and genuine with others and, more importantly, with myself. Those two things really support the idea of what respect means for me. L: For me, the characteristic that is most important is integrity. I would describe that very similarly to Carol’s “respect” in the sense of walking the talk. It’s living congruent with my values, and it requires being diligent and doing a self-check to be really aware of where I might be out of alignment, and then making a conscious decision to shift that behavior or thought to get it back in line. S: What turns you guys off? C: For me, someone who is really judgmental, unwavering in possibilities. They are a huge challenge for me. I also tend to stay away from people who live in drama, because it physically and emotionally drains me. L: For me, I would have to say that negativity or continual pessimism doesn’t really work for me. Another way to put that is that I’m a huge fan of hope and faith. S: Big characteristics. Ladies, what inspires you? C: For me, just to witness others experiencing their “Aha” moments, because I get to witness and feel their thrill. I walk away being energized. Personally, I’m inspired when I watch my two kids becoming more independent, and their youth motivates me to always be my best and that I still have a lot to look forward to. L: For me, it’s the willingness of people to try new things on, inclusive of myself, to work through difficult situations and then use them as catalysts for new beginnings. S: Our last question: What’s the most precious thing you’ve learned along the journey from accidental pren-her to entrepreneurial woman? C: That’s a great question. What I’ve learned is how important it is for a person to truly figure out what’s missing or needed to take them from a position of chance direction to an intentional direction. In my case, once I embraced my need and desire to work with a partner, it feels so natural now. I’ve learned how important it is for me to connect to a purpose and feel a passion for it, because in this business with Lisa I don’t feel like I’m working. Rather, I’m really in this continuous state of creation. L: For me, Carol and I are so on the same page on this. The most precious thing I have learned is how important it is to be doing the work that connects who I am with what I do. I know for sure that when I’m doing that, I’m being my greatest self and doing what I’m supposed to do. And I believe so strongly that the Universe has such an extraordinary way of making that perfectly clear. The real challenge for me is just being willing to listen to that. S: Wow, Lisa and Carol, you guys sound like you’ve got the whole package. You are balanced, you are focused, you are excited, and you are connected to your passion in doing what you love to do. I love that! So, let me end by saying it was so wonderful to have you guys here on the Accidental Pren-her Show today. I know that our readers and listeners are going to want to get a hold of you, so how would you like them to reach you? C: We’d love for them to visit our website, www.familyontheedge.com, to learn more about our service. We offer a complimentary session, so they can find out for themselves if our coaching will work for them. S: Lovely! Ladies and gentlemen, if you listen to this, you’re going to need to look up Family on the Edge and visit Carol and Lisa at www.familyontheedge.com. Thank you, Ladies, for being part of this today. C: Thank you, Susan. It’s always fun. Thank you for inviting us. I love what you say about how important it is to be doing work that connects who you are and what you do. I absolutely agree with you and can tell that this is truly who you are, Carol and Lisa. I find that when I do work that connects with who I am -I am energized rather than drained. You guys were terrific. I loved listening to your interview. You sound extremely focused and enthused about your work! There's a tone throughout your answers that speaks volumes. You are both so obviously aligned with your hearts, and your clients benefit from that on so many levels. We all do. Thanks! Moschel, Thanks so much for listening in and supporting us. And yes, we are so enthused about reaching out and supporting folks thru Family on the Edge. Dana, Again, thanks for noticing and acknowledging how aligned we are in our coaching partnership. We talked about the synergy that exists in our work, and it's true! Also, for me, I'm in constant gratitude for every client I've ever been privileged to work with. Each person I've coached with over the many years have given me such insights about relationships and how innately valued they truly are... even as I've worked with individuals in career transitions. I love that you talk about coaching as a shared experience. And thank you, Carol, for sharing my work with your clients and friends! Indeed, Carol and Lisa, one of the most inspiring things about your message is your partnership. You two bring the best of who you are into your partnership. Together, you offer your clients the richness of your life experience combined with integrity, and professional service. It's all about relationships, isn't it ladies? Carol, you have certainly given me lots of inspiration, and it certainly tells it all in this interview. What a great story. I'm sure you have many chapters to come. You both certainly have it all together!